BULL ANT QUEEN OR NOT A QUEEN? 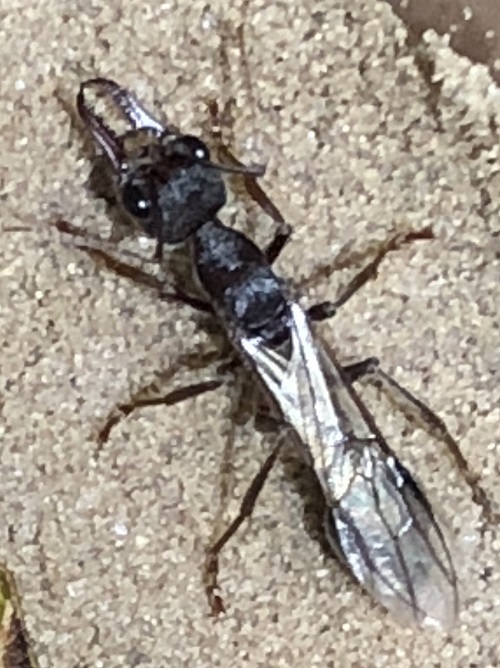 Hi everyone I'm trying to find out if this is a Queen Bull ant or not..? 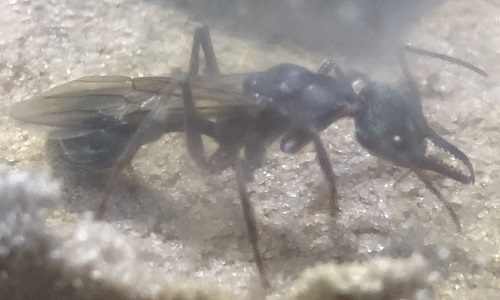 Re: BULL ANT QUEEN OR NOT A QUEEN? From my experience, which is little (I'm a novice myself) it appears to be. If it doesn't die soon (which would mean that it is a drone) then it definitely is, only queens and drones have wings.